Music Makers has a Book Store with one of the largest selections of printed music, music books and sheet music in Calgary and Southern Alberta. 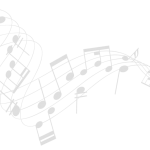 Both stores have a great variety of music for many levels including RCM materials, rock n roll, broadway, sheet music, popular, classical, folk and more. We also stock instructional and popular music books for voice, violin, saxophone and band instruments. Most guitar, piano and band instrument methods are in stock as well as theory and history texts. Some of our publishers include: Frederick Harris, Hal Leonard, Alfred, Mel Bay, Lorenz, Henle and Kjos. If you want music books, music sheets and RCM materials, this is your place. Special orders welcome from all major music publishers. Digital print-on-demand is available at our stores.